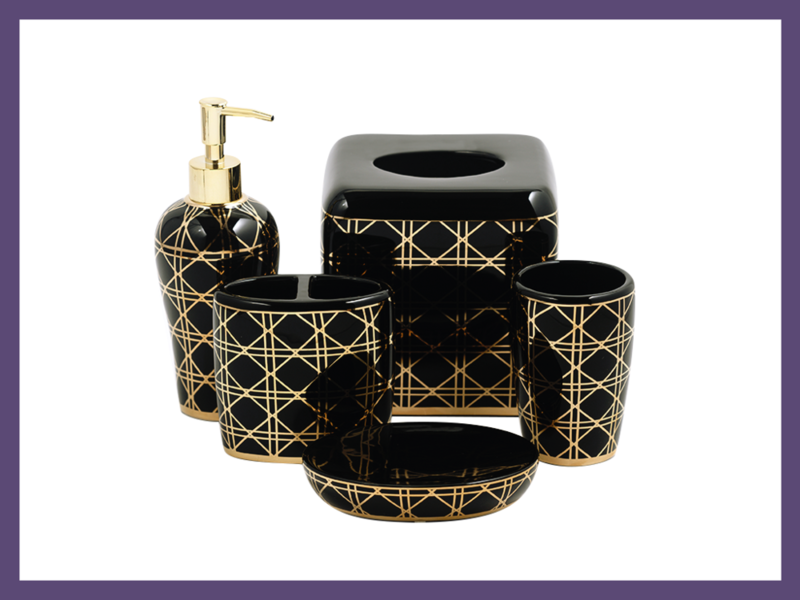 Ceramic accessories are always and elegant choice for the guest bathroom. 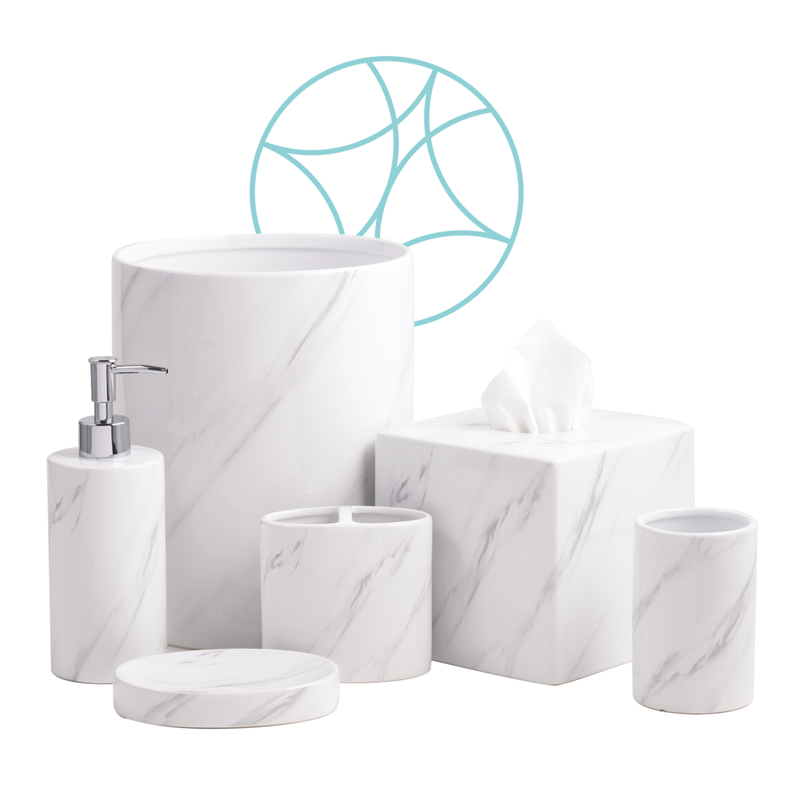 With a variety of designs elements there are styles to complement almost every bathroom design. Custom colors are available — minimums will apply.